Since posting pictures on my blog is a bit of a time consuming and often unreliable process, I'm going to make use of my photosite to share trip pictures. You can see the first installment at caroust.photosite.com. 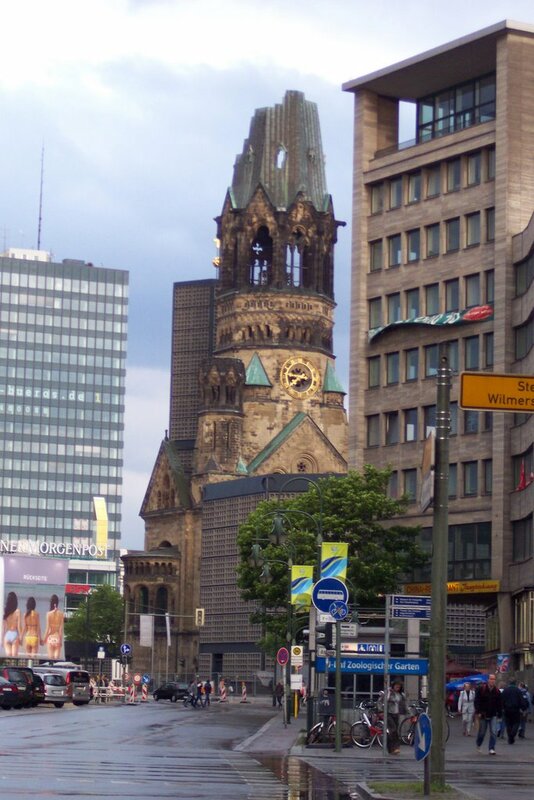 In general, I'd say that Berlin is a very vibrant city in a state of constant progress and change. Between WWII bombings and Soviet determination to destroy anything Nazi-related, the history of the city now consists of a lot of "this is where X used to be." In a lot of ways, it's too bad - so much history was lost in the last 60 years. On the other hand, it leaves a lot of room for building up industry and commerce that is on the cutting edge. I was troubled by the fact that nearly every square inch of this city bears an apology for some form of crime against humanity. There were so many different victimized groups that you can hardly turn around without remembering more people who were falsely imprisoned, tortured, or murdered. It seems unfair to me: how long should these people have to apologize for the sins of their forefathers? Clearly, they have atoned -- and continue to atone every day -- for the atrocities committed by the Third Reich and the Soviets. Are they condemned to spend eternity in a perpetual state of apology? How many memorials and tributes are enough, and how long must this go on? And yet, I wouldn't change a single thing that they have done so far. Every memorial is appropriate and poignant, as well as vitally necessary for many people to heal emotionally. I guess, in a way, this is a culture shock for me. I'm used to living in the optimistic culture of the USA, where people are encouraged to aggressively go after "The American Dream" and succeed against all odds. In Berlin, you don't feel that sense of excitement, except maybe in Potzdamer Platz or some of the other more contemporary structures being built throughout the city. I'll be curious to see what happens in this city over the years! For the crime against humanity of committing genocide and ushering in the largest war in the history of the world (and before that, the second largest war), I think the German people have a lot more apologizing to do. Considering what was done by the Nazis, I don't think it's asking too much to hang a few memorials or tributes in Berlin. Is that unreasonable? To acknowledge these atrocities so that people never forget and they never happen again seems like a great idea to me. Perhaps it wouldn't be such a bad thing if we had a few more such reminders here in the U.S.
Of course, many of European ancestry in the US seem to ignore their history of exploitation (Africans) and genocide (Americans). I believe that both of these affected millions of people (similar to the the Jewish holocaust), and we probably have more monuments to people who died defending these acts than to their victims.